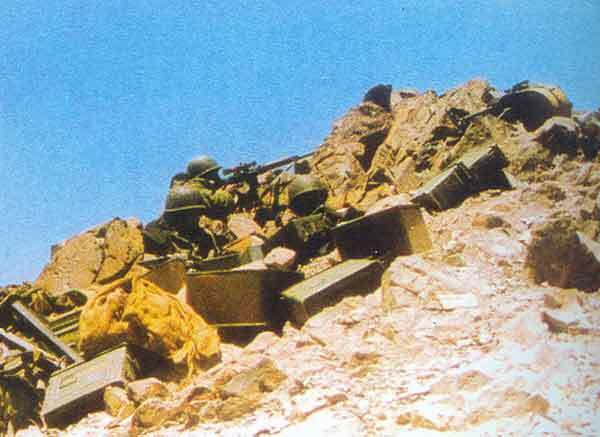 It appears from newspaper reports that some Pakistani mujahideens (irregulars) occupied the Kargil heights sometime around April 1999. Later on, they were joined by regular Pakistan troops. Their overall numbers might have been a few thousand (some estimates talk of about 1000 numbers). Again, going by newspaper reports it would appear that the Pakistanis built some bunkers on those heights. India remained blissfully unaware of these major incursions till some shepherds informed of the same; So much for Indian Intelligence. …India would not cross the LoC. Hypocritical moral posturing? Why? Pray, why would we not cross the LoC when the other party has? …let us not forget that it was our pseudo-moral posturing and lack of aggressive spirit (i.e. no LoC crossing) that resulted in such high casualties. If one has to draw a line of comparison with serial Mumbai blasts of 1993, the goal appears identical – to scare and terrorise. The recent attacks in Kuwait, Tunisia and France leading to senseless killing of fifty four innocent human beings, does not exactly indicate that the curse of terrorism has made a comeback. It was close on the heels of the Taliban strike on the Afghan Parliament on June 22, which saw death of two civilians, including a child and seven assailants, including a suicide car bomber. In this age of ‘live shows’, terror assaults have been always there amidst us, in some form or the other ever since the Palestine-Israel conflict took birth in the late Sixties of last Century. Aziz Haniffa/Rediff.com listens to Shiv Shankar Menon's eloquent report card on the Modi Sarkar's foreign policy. "The biggest difference in substance," between Dr Manmohan Singh's government and Narendra Modi's government, says former national security advisor Shiv Shankar Menon, "is the doubling down in the relationship with the United States. I would go so far as to actually say, it's a strong pro-Western tilt." Elaborating, Menon pointed out, "If you look at the things that this government has announced, that the prime minister will go and visit Israel, and no prime minister has done that before" and "if you look at the substance of the relationship with the US, which has been revived," he said these were tangible manifestations. After years of success, the outsourcing industry is under stress as the market shrinks and spending falls. Indian companies say their business models, built on cheap labor, are under threat from a shift to cloud computing, where clients ditch server rooms and bespoke software. Here’s how the outsourcing industry has shrunk in the past several years. The value of outsourcing deals worldwide in 2014, down from $206.8 billion in 2010. The number of outsourcing deals signed globally in 2014. The deals are down 61% from 1,805 deals in 2010, KPMG data shows. The average value of the world’s 100 largest outsourcing deals in 2012. Since then, the average size has fallen and was at $452 million in 2014, according to International Data Corp.
On April 9, 2015, Pakistan’s Inter Services Public Relations (ISPR) put out two short press releases. The two-line press releases gave the names of the officers promotedfrom the rank of Maj. General to Lt. General and details of key new postings. This was the second major reshuffle that has taken place in the higher echelons of the Pakistan Army after General Raheel Sharif took over as the 15th Chief of the Pakistan Army in November 2013. Interestingly, in both cases, there was a change at the helm of the Strategic Plans Division (SPD), the custodian of Pakistani nuclear weapons. This is in stark contrastto the long period of continuity when Lt. Gen. Khalid Kidwai was at the helm of the SPD for nearly fourteen years between February 2000 and December 2013. The December 2013 reshuffle took place barely a month after Gen. Raheel Sharif assumed office. One of the important appointments was Lt. Gen. Zubair Mohammed Hayat as Director General, SPD, following the retirement of Lt. Gen. Khalid Kidwai. KABUL, Afghanistan — An Afghan government delegation met withTaliban officials in the Pakistani capital for the first time on Tuesday, in a significant effort to open formal peace negotiations, according to Afghan, Pakistani and Western officials. The Islamabad meeting, brokered by Pakistani officials after months of intense effort by President Ashraf Ghani of Afghanistan to get them more centrally involved in the peace process, was the most promising contact between the two warring sides in years. And it followed a series of less formal encounters between various Afghan officials and Talibanrepresentatives in other countries in recent months. Pakistan’s Foreign Ministry said in a statement Wednesday that the participants had agreed to continue the talks, with another meeting to be held after the Muslim holy month of Ramadan. 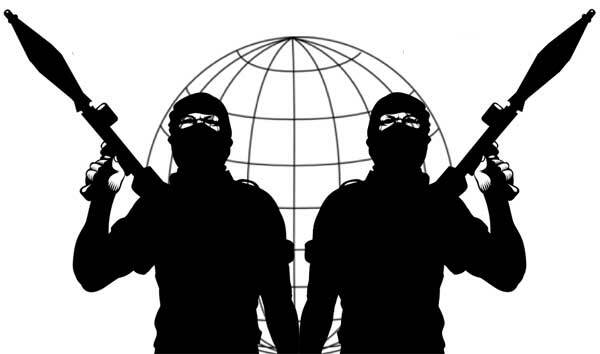 The recent arrest (July, 02) of 12 militants in Dhaka, Bangladesh, including the resident co-ordinator of the Al Qaeda in South Asia (AQIS) may not be a total surprise for counter-terrorism experts, but it is an eye-opener for the people of South Asia. The arrested included the AQIS co-ordinator, Mufti Mainul Islam (with many aliases), Maulana Zafar Amin, advisor of AQIS, and ten others. The arrests revealed they had acquired a huge amount of arms and explosives, bomb-making and training manuals. They planned to hit Dhaka in a spectacular strike after the holy month of Ramadan, to announce their arrival in the country. This is not the first time Al Qaeda tried to get a foothold in Bangladesh. According to earlier reports, a group of Al Qaeda men of foreign origin were spotted in 2005, in the Banderban area of Bangladesh. They were reportedly assisted by the Jamaat-e-Islami (JEI). But the group slipped out of the country when the political situation became unfavourable for them and international attention shifted to Bangladesh on terrorism. Mufti Mainul Islam, 35, was earlier a member of Harkat-ul-Jihad-al-Islami, Bangladesh or HUJI-B. The others were committed to Al Qaeda ideology. Senior HUJI leader, Maulana Mufti Moinuddin @ Abu Zandel, who is on death row for his attempt on the life of a former British High Commissioner in Bangladesh, was in touch with this group through mobile phone and letters, from Kashimpur jail, where he is lodged. Have some prison guards been influenced by extremist ideology? Or have they been bribed or been just negligent? The Rapid Action Battalion (RAB) who are pursuing terrorists with a significant degree of success would, expectedly, enquire into this. Why has the issue become so prominent in the recent years? Why is this issue proving to be a thorn in the China-Japan relations? What is so significant about these islands that all the big powers in the region have a vested interest in them? Asia's Nightmare: Could India and China Clash over the South China Sea? Developments in the South China Sea (SCS) have significant implications for India’s strategic interests and its role in the Indo-Pacific. Yet New Delhi has traditionally maintained a safe distance from direct commentary on issues like SCS maritime disputes, instead emphasizing the need for freedom of navigation. However, India now appears to be picking up the pace. Under the Modi government, New Delhi has turned the ‘Look East Policy’ into the ‘Act East Policy’, made direct comments on the need to resolve the SCS dispute, signed a joint strategic vision with the U.S. for the Asia–Pacific and the Indian Ocean region and is in talks with key regional countries to increase security collaboration, especially in the maritime domain. The Modi Government recognizes the SCS as an important element of New Delhi’s relationship with the East, for both trade and strategic reasons. In order to strengthen its relationship with Southeast Asian nations, India has to portray itself as a credible security actor in the region. In making comments on the SCS disputes, India took a step in directly voicing its concerns rather than tip-toeing around the matter. New Delhi was clear to state the potential of the disputes in destabilizing regional security through Joint Statement with the U.S., with Vietnam and at the East Asia Summit and the India–ASEAN summit 2014. When Prime Minister Narendra Modi visited China in May 2015, one of his objectives was to persuade the Chinese leadership to restart discussions on the clarification of the Line of Actual Control (LAC) through the exchange of maps. The rationale for India’s demand was that, pending a final settlement of the border question, LAC clarification would help ease border tensions. But the Chinese leadership was not enthusiastic about India’s proposal. Instead, China called for a comprehensive ‘code of conduct’ for the forces deployed along the border. Here, it is useful to remember that both LAC clarification and Confidence Building Measures (CBMs) are part of the agreed principles in the 2005 agreement. This mismatch in desired outcomes was the main obstacle in the recent border talks, and it showed once again India and China’s contrasting approaches to border negotiations at large. 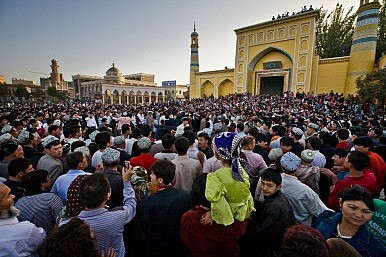 China’s policies force Uyghurs to choose between losing their cultural heritage and pursuing better living standards. China’s recent decision to bar civil servants, students, and teachers from observing Ramadan in the predominantly Muslim Xinjiang Autonomous Region has put China’s troubled relationship with its minority populations back in the spotlight. China has been stepping up its restrictions on religious practice in Xinjiang to try to loosen the Uyghur ethnic group’s adherence to Islam, which they fear is feeding into an extremist-separatist movement. The decision to target students and teachers with this ban is notable because it ties China’s cultural policies to education — a key battleground in the struggle over identity and enfranchisement in minority China and a revealing window into why China’s attempts to pacify its restive frontier seem to be backfiring. The first is to backstop precipitous declines in Russian power. Chinese strategic analysts cannot help but be thrilled to have the leading members of the U.S. defense establishment proclaim that Russia is now the principal threat to the United States. Combined with announced cuts in the size of the U.S. Army, this portends well for thinning out any planned increase in the U.S. presence in the Pacific, because the focus now appears to be on a pivot back to Europe in order to shore up the precarious eastern frontiers of the Euro-Atlantic world. The lifeline that China has provided to the Russian economy-not only new contracts for energy and trade deals, but also the purchase of Russian bonds by Chinese financial institutions-has allowed the Putin administration to blunt the impact of Western sanctions and allowed Moscow to continue to maintain its position in Ukraine. China also benefits from a more anti-American Russia that is important for helping to secure China’s western territory by having Moscow guard Beijing’s backyard. Putin’s early flirtations with creating a strategic partnership with the West-including the post-9/11 offer of assistance to facilitate a U.S. military presence in Central Asia-were troubling to the Chinese, who have always feared the possibility of complete American encirclement. The Ukraine crisis has permanently ruptured Russia’s ties to the West and pulled Moscow into a closer relationship with Beijing. Expansion into South Asia comes with important benefits for the security bloc, but the old rivals could create as much turmoil as opportunity. An Indian army soldier is silhouetted against the snow capped mountains of Pakistan-administered Kashmir as he guards the the line of control on 20 April 2015 in Gohalan. Photo by Getty Images. India and Pakistan are expected to be simultaneously elevated to full membership of the Shanghai Cooperation Organization (SCO) in 2016, as mooted at this week’s summit of the security bloc. SCO officials have described the move as a ‘constructive’ step that could improve bilateral relations and will see the two rivals become members of the same security bloc for the first time. (Both already have observer status at the SCO.) But their entrenched differences could cripple the SCO, and the organization’s decision-making, which is based on consensus, could face paralysis. 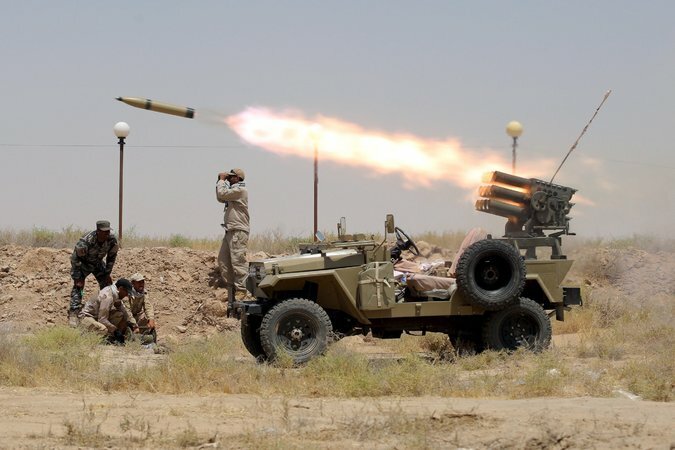 BAGHDAD — The Iraqi government declared on Monday that it was beginning a major military operation to retake the western province of Anbar from the Islamic State, which occupies much of the area including its major cities, Ramadi and Falluja. It was not immediately clear if the operation would be more effective than an earlier one thatIraq announced in May, when the Islamic State seized Ramadi, the provincial capital, after holding Falluja for more than a year. Little has changed on the ground since then. But a barrage of 29 American-led airstrikes near Ramadi on Monday signaled that the United States was strongly backing the operation, a week after President Obama vowed a “long-term campaign” to defeat the Islamic State, also known as ISIS or ISIL. The ongoing confrontation with Iran, the war against ISIL, the instability in Iraq, the Civil war in Syria, and the conflict in Yemen have all made major changes in the security situation in the Gulf and in the regional military balance. The strategic partnership between Arab Gulf states, and with the U.S. and other outside states, must now evolve to both deal with conventional military threats and a range of new threats including ideological extremists, non-state actors, their state sponsors, and a growing range of forces design to fight asymmetric wars. The Burke Chair at CSIS is completing a new book-length assessment of the Gulf military balance, the military capabilities of each Gulf state, the role of the US as a security partners, and the priorities for change in the structure of both the GCC and the Arab Gulf military partnership with the US. This assessment goes far beyond the conventional military balance and examines how force developments in the region affect joint and asymmetric warfare, missiles, and missile defense, nuclear forces, and in terrorism, the role of non-state actors, and outside powers. A totally revised and final draft of this study, entitled The Arab-US Strategic Partnership and the Changing Security Balance in the Gulf, is now available on the CSIS web site at http://csis.org/files/publication/150713_Cover_and__Report%20_Gulf_Military_Balance_2015.pdf. Israeli Prime Minister Benjamin Netanyahu delivers a statement in his office in Jerusalem on July 14, 2015, after world powers reached a historic nuclear deal with Iran. Here’s the thing to keep in mind about most critics of the Iran nuclear deal that was signed Tuesday morning: Their objections have nothing to do with the details of the deal. The most diehard opponents—Israeli Prime Minister Benjamin Netanyahu, Saudi King Salman, and a boatload of neocons led by the perennial naysayer John Bolton—issued their fusillades against the accord (“an historic mistake,” “diplomatic Waterloo,” to say nothing of the standard charges of “appeasement” from those with no understanding of history) long before they could possibly have browsed its 159 pages of legalese and technical annexes. What worries these critics most is not that Iran might enrich its uranium into an A-bomb. (If that were the case, why would they so virulently oppose a deal that put off this prospect by more than a decade?) No, what worries them much more deeply is that Iran might rejoin the community of nations, possibly even as a diplomatic (and eventually trading) partner of the United States and Europe. It seems there is a deal. We know that because the President has already begun his pirouettes as befitting his role as Spinner-in-Chief, and because we have a leaked Russian version of the text that seems pretty realistically what it claims to be. Let me admit right off that I doubted that the Ayatollah Khamenei could bring himself to take “yes” for an answer, for reasons I have laid out several times before (most recently, in short, in “The Waiting Game”, TAI Online, July 9). And I believe that there’s a good chance he has made a fateful error, from his point of view, in so doing (of which more below). There will be torrents of commentary coming our way. Some people are actually capable of reading the text professionally, with the requisite political experience and technical background, to make sense of the deal. And some will comment despite not being able to do this. Arguments from authority are always to be suspected, but experience and competence are not to be dismissed either. So take care of whom you trust in this. The 2015 U.S. National Military Strategy is chock-full of wholesome goodness yet may leave those who do business in great waters feeling undernourished. Why? Because the strategy is so determinedly — relentlessly — joint in outlook, from its garish purple cover (purple being the signifier for joint endeavors) all the way to itsbitter end. “Jointness,” to use the awkward Pentagon term, connotes each armed service having a roughly equal claim on missions and taxpayer largesse. Call it egalitarianism, military style. Released last week, the strategy explains how the Joint Staff headed by U.S. Army Gen. Martin Dempsey (and about to be headed by Marine Gen. Joseph Dunford) intends to harness ground, air, and sea power to achieve strategic and political purposes. What it doesn’t do is explain fully how the armed forces will do things in the terrestrial, air, or nautical realms — let alone set priorities among those domains, or among the land, air, and sea arms. Rising global temperatures and sea levels will become an international security issue if left unattended. Gone are the days when talk of global destruction conjured images of nuclear bombs and mushroom clouds. Scientists are now warning that the modern-day parallel to the Cold Era threat of nuclear warfare is global warming. A newly released report on the issue of climate change begins with a warning that countries should view it as they once viewed the specter of nuclear war: as a major threat to national and international security. The report, “Climate Change: a Risk Assessment,” was commissioned by the UK’s foreign office and cowritten by leading environmental scientists from all over the world. The analysis reaffirms many well-documented assertions about climate change: Global temperatures are rising drastically, leading to rising sea levels as well as widespread drought and famine, which threaten human lives on all continents, especially in developing nations. The agreement, swapping sanctions relief for new limits on Tehran’s nuclear program, came after Washington bowed to Iranian demands to lift a U.N. arms embargo. Iran and six world powers agreed to a historic deal Tuesday that will impose limits on Tehran’s nuclear program in return for relief from punishing economic sanctions, marking the culmination of more than a decade of diplomacy and confrontation. After 18 days of exhausting negotiations in Vienna, diplomats announced they had clinched the accord, and President Barack Obama hailed it as a breakthrough that would defuse long-running tensions over Iran’s disputed nuclear project. “Today, because America negotiated from a position of strength and principle, we stopped the spread of nuclear weapons in this region,” Obama said in a televised speech from the White House. More Pentagon Generals Line Up to Proclaim Russia’s ‘Existential’ Threat to U.S. The two generals nominated to sit atop the Defense Department’s hierarchy agree: President Vladimir Putin’s Russia is the greatest threat facing the United States today. U.S. Air Force Gen. Paul Selva — President Barack Obama’s pick to be the next vice chairman of the Joint Chiefs of Staff — told the Senate Armed Services Committee on Tuesday that he “would put the threats to this nation in the following order: Russia, China, Iran, North Korea, and all of the organizations that have grown around ideology that was articulated by al Qaeda,” offering the same list delivered last week by Obama’s nominee to be the next chairman of the Joint Chiefs, Marine Corps Gen. Joseph Dunford. Finally, the Greek crisis is challenging the Finnish government as well. Since March, Finland has been ruled by a coalition that includes the Euroskeptic Finns Party, which opposes a third bailout for Athens. Finland has traditionally followed a hard line when it comes to eurozone bailouts, but the government's composition has reduced Helsinki's room to maneuver. Like Germany, the Finnish parliament will have to ratify a third bailout for Greece. The European Union is not merely facing a Greek crisis. It is facing a systemic crisis. The events in Greece have shown the extent to which a currency union without a fiscal union leads to conflict in Europe. The Greek government has presented the conflict as an attempt to weaken Greece's democracy, which is an incomplete explanation. The eurozone is a club of 19 democracies with their own national interests, priorities and constraints. Each actor has to pursue its own goals, all the while fettered by its domestic politics. AT ONE point during marathon euro-zone talks in Brussels on the evening of July 12th, Alexis Tsipras was a few minutes late returning from a break. A rumour took flight: the Greek prime minister, facing brutal demands from his 18 fellow euro-zone leaders in exchange for an agreement to begin talks on a new bail-out, had fled the building. It turned out that he was in the bathroom. It was a rare coincidence in world politics that two pivotal and protracted negotiation processes—the European Union’s talks with Greece on managing its debt, and the “P5+1” talks on managing the Iranian nuclear program—both culminated in crucial agreements at the start of this week (July 13–14). Russia was a party (albeit not a very active one by the end) to the bargaining with Iran, but not with Greece (while demonstrating close engagement); and it has large stakes in both crises. Typically, while declaring support for reaching comprehensive agreements in both cases, Moscow was, in fact, more interested in the talks breaking down, so that the EU would plunge into a deep mess marked by a “Grexit” and Iran would remain isolated by the sanctions regime. However, the two landmark compromises signify a big step forward in enhancing the governability of world order, which leaves Russia—as a revisionist power that favors a crisis of the West-imposed global order—quite irrelevant. By its illegal occupation of Crimea, Moscow has transformed that Ukrainian peninsula into an island, the second non-contiguous part of the Russian Federation and one that is already giving the Russian government and the Russian economy serious problems—as Kaliningrad long has (Ekho Moskvy, July 10). Like Kaliningrad, Crimea can be reached by land only by crossing the territory of a country with which Moscow does not have good relations. But unlike the westernmost oblast of the Russian Federation, the Crimean peninsula could, in principle, be reached by a bridge over the Kerch Straits from Russian territory. That is the strategy Moscow has announced, even though all earlier efforts to build a bridge across those waters have failed. Furthermore, the problems involved—foreign political, economic, environmental, technical and domestic-political—are now greater than at any time in the past. Together, these obstacles make the realization of such a project more difficult than ever. As a result, Ukrainian defense analyst Igor Fedyk says, it is entirely appropriate to speak of the Kerch “curse.” And Fedyk doubts that even the Russian government will be able to overcome it (Krymr.com, July 3). The next 15 years will change troops’ gear in virtually every respect, from body armor to communications to robot interactions. New technologies will replace a number of jobs in the next 15 years, but one occupation that’s unlikely to go away is the most dangerous one in the world—soldier. The Pentagon spends billions of dollars to make sure front-line troops are better armed and trained than any adversary they come across. But as commercial technology advances faster than the military can keep up, securing that edge is becoming an increasingly difficult proposition. Orders are rolling in, from banks and agriculture companies alike, for the spy agency’s newly available commercial products. Agriculture companies are now buying cyber-surveillancegear fueled by National Security Agency intelligence, according to a telecommunications company authorized to sell the technology to government and industry. It is the same apparatus that discovered the monumental hack now known to have netted personal information on 21.5 million background check applicants and family members. Government-aided network monitoring might have been hard to imagine just a couple of months ago, when a court deemed NSA’s bulk call record sweeps illegal. It didn't take Jordan Wiens very long to find a vulnerability in United Airlines' network, but the payoff was one million free air miles for about six hours of work. A vulnerability researcher from Florida, Wiens was the first recipient of United's highest-level reward in its bug bounty program, reserved for remote code execution (RCE) vulnerabilities in its web properties. United announced the bounty program in May 2015, which it said is the first such program in the airline industry. Usually, bug bounty programs offer rewards in cash, such as those run by Microsoft, Google and Facebook. United's rewards are all in the form of free air miles - ranging from 50,000 free miles for low-level bugs (cross-site request forgery, bugs in third party software affecting United), to 250,000 miles for mid-level bugs (authentication bypass, personally identifiable information leakage, brute force attacks), and 1,000,000 miles for RCE bugs. Most of us have heard that we should eat less fat and ghee, skip the junk food, pass on the soft drinks, and lace up our running shoes regularly to keep our hearts strong, bodies slim, and our blood sugar regulated. What you may not know is that if you are of South Asian descent (from India, Pakistan, Sri Lanka, Bangladesh, Afghanistan, Bhutan, Maldives, or Nepal), you have an increased risk of developing heart disease, a big unhealthy gut, and type 2 diabetes, regardless of your other risk factors. That’s right—even if you are a slim, vegetarian, non-smoker with low cholesterol and average blood pressure, simply being Indian puts you at risk for these conditions. Kaiser Permanente, a large health maintenance organization (HMO) in the US, found an alarmingly high rate of hospitalization for heart disease among its Indian male patients in Northern California—almost 4 times higher than Caucasian patients and 6 times higher than Chinese patients. This was probably not due to over diagnosis or over treatment, because Kaiser is a conservative HMO that only recommends expensive procedures to the most high-risk cases. Dr. Harshvardhan speaking at a Science Symposium in Goa called on Indian Scientists and Researchers to think out of the box. Perhaps it is also time for us to assess Indian Science and Research candidly thinking out of the box. The Twenty First Century is being driven by Technology via Science through the conduit of Engineering. Engineering Professionals are making relentless endeavours towards the broader parlance of Humanity through Targeted Research, Innovations, Discoveries and Inventions, which have been exemplified over the last few centuries, making inevitable contributions to the cause of Societal Transformation. This century has witnessed the explosive tangible benefits to mankind at large, where Knowledge and Technology continue to work in tandem. Today, the Power Quotient of nearly every country is judged on the basis of its Technological Prowess amidst Global competition. Let us attempt to analyse India’s position candidly. Updated July 7: The post below has been updated to further clarify that BitSight’s security rating of the defense contracting sector does not apply to specific companies but reflects a median score of the top 25 defense contractors. Some companies’ individual scores were higher than the median, BitSight notes. After revelations that a compromised contractor login abetted a grandiose breach of federal employees' background investigations, now comes word that Defense Department suppliers score below hacked retailers when it comes to cyber defense. The new industry-developed cyber rankings -- and the recent Office of Personnel Management hack -- raise questions about the extent to which cybersecurity is a shared responsibility between government agencies and contractors. "You can write a contract requiring somebody to do something. The question is, how do you enforce it? And if it's broken, what are the penalties? That's what DOD is really struggling with," said Jacob Olcott, vice president of business development at BitSight Technologies, which rates firms’ susceptibility to hacks. "If you are the only organization that's building an F-35, there is only so much that the government can demand of you." Russian President Vladimir Putin (L) talks with Indian Prime Minister Narendra Modi (C) as they walk for a meeting during the BRICS Summit in Ufa, Russia, July 9, 2015. Arun Mohan Sukumar is a lawyer, journalist, and former senior fellow at the Centre for Communication Governance at National Law University Delhi. You can follow him on Twitter@arunmsukumar. The declaration inked by BRICS leaders last week in Ufa, Russia, as it relates to Internet governance, strikes a dissonant chord with India’s recent overture towards the multistakeholder approach. What explains India’s apparent back and forth? 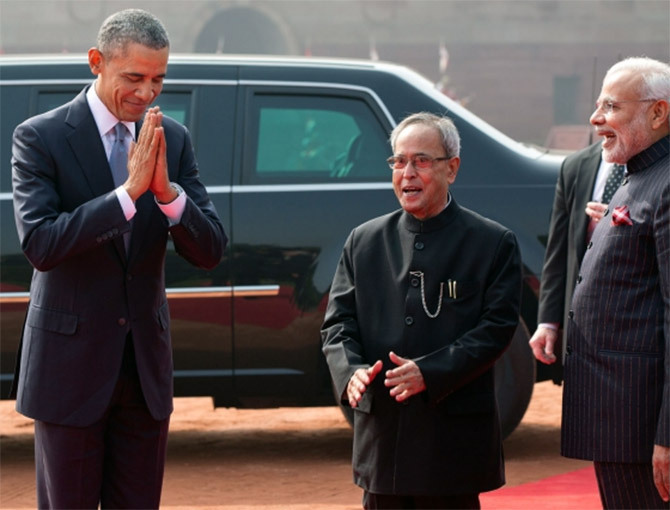 And is there a new opening for U.S.-India cooperation in cyberspace? What really took place, according to those present, is that Zhou misunderstood the question and, rather than being asked to assess the impact of the epochal events of 1789, he thought Kissinger’s question referred to the student protests that hit Paris in 1968. In recalling the exchange, former foreign service officer Chas Freeman stated that “there was a misunderstanding that was too delicious to invite correction.” Or as we in the media like to say, the story was so good it hardly mattered whether it was true or not. As it happens, though, the tale also reveals the difference between a story that is true and one that contains a good deal of truth.